Part 2 of the fashion journey into autumn. Lots and lots more to see from British and international designers new and established at London Fashion Week - dive right in! Paul Costelloe, sometimes know as 'Father of Fashion' is one of the most experienced designers on the London Fashion Week Schedule as one of a handful on original members still showing. The father term also references his families broad involvement in the business as well as his long term in-put into shaping the contemporary fashion scene today in Ireland, the UK and around the world. Edeline Lee's shows are always a fantastic glimpse into the world of a confident young women who dresses in a way that challenges you to show how women can dress injecting a little more fun and daring into their wardrobes and turning the style dial by just a little angle to give a new perspective. 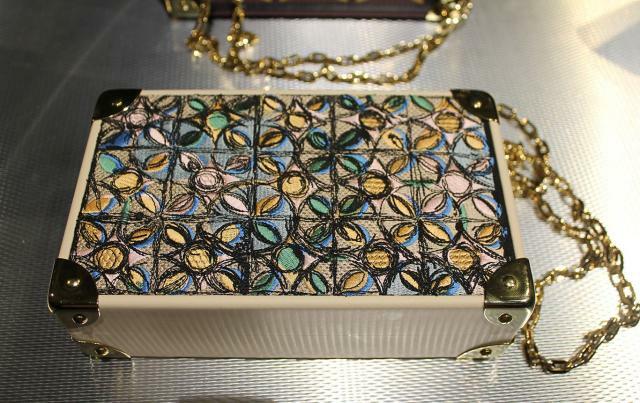 Isa Arfen is the brainchild of talented designer Serafina Sama who hails from Ravenna in Italy. After studying at Central Saint Martins college in London where she gained studio expereince at Marni, Lanvin and Marc Jacobs. Following two years working for Chloe in Paris she returned to London working freelance for several Houses. In 2011 she soft-launched her first collection, selling to freinds and contacts, that became an instant success. Images shot by Andrew Vowles. Shooting backstage is always an absolute pleasure at his shows and it's one of my favourties. Asside from studio visits, it's the best way to actually see the clothes and craftsmanship close-up as the looks are prepared to be worn by the models. Paul is also one of the designers that really gives off a 'parent' vibe around his models and his was an early introducer of healthy snacks and always takes time to speak with the models to see how they're doing. It's a genuinly nice atmosphere, not tense or stressy. This is pretty crucial as you'll glimpse in some of my pictures girls on their phones working on their fashion month schedules as they prepare to walk. You need to be strong, healthy and tenacious for a life in fashion. Above to the left Paul dances with one of his show team singing between show turns. 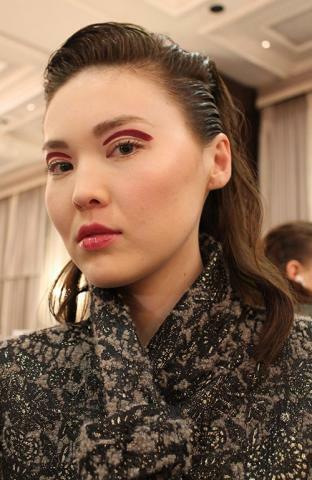 The beauty look this season was clear and understated with skin lightly brushed with Amber on the cheek, eyes were highlighted with a soft black mascara and defining crimson arch following the contour of the eye shape. 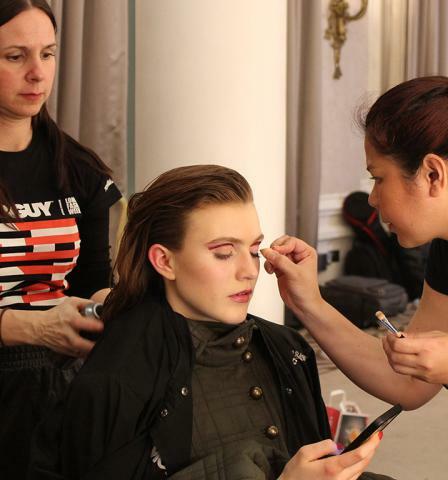 Lips where lightly painted with a light berry colour finishing a natural evening face. Hair was swept back at the temples with some girls have a half-up, half-down style. It was lightly reminiscent of the early 1980's but also had a millennial twist. For some girls the look coordinated with their outfits in a more sporty direction and other looked like they where going to a cocktail party rather than clubbing. All of them looked ready for action though with the trademark gung-ho Costelloe spirit, doing things your way and with confidence. The collection opened with a series on looks in Emerald and Olive green with quilted fabric proving a popular medium to dress the figure in using hints of out door wear from the men's and women's wardrobe worked into style that used both flourishes and sharper tailored lines. Leggings where a popular coordinating feature of several early collection pieces showing healthy well honed pins and elongating the line of the silhouettes to make the models look like goddesses. Textile work was an interesting part of this collection with a wide series of permutations on the classic woolen tweed and hounds tooth weaves. Above to the left a small square weave almost imitating cheese cloth beautifully works it's way into a mini dress falling gently off the shoulders, long sleeved and belted at the low waist with a seriously desirable satchel from Paul's new collection. A beautiful tweed tartan coat in one this season's key bespoke weaves is light yet warm and another flexible wardrobe addition of the type that Paul is good at creating. Broad lapelled and mid calf in length it sits over one of the seasons' centre piece stylish separates. The collection takes a more conceptual turn in places with a hint of Japanese formal wear influencing the next wool jacket with it's out-sized sleeves. To the right the mini dress returns in the berry-toned tartan plaid version of the mini dress. Wool one of the most eco-friendly of the natural fibres plays a large part in the collection adapted into numerous garments. Above to the left a neutral camel light coat is another easy classic followed by another pieces that explores broader cultural influences and works with a free imagination. Angled pockets and deep cuffs give an historic feel to the look. Seasonal mini dresses in black and purple look neat and serene but also on trend while to the right a white crisp shirt sitting above a deep pocketed pencil skirt spins 'lady of the manor' style into a contemporary style that can be worn across any age group for social or working attire. Textile production is something that Paul and his team take very seriously and part of the collection is produced in fine Italian mills. Some more close-up beauty shots that will feature on my social media chanels through the new season. Paul continues to have a thriving career dressing royalty, celebrities and women all over the world who believe in good tailoring. As is customary with Paul's shows it closed with singing and romance. Love walking hand in hand with fashion was the ultimate take-away. 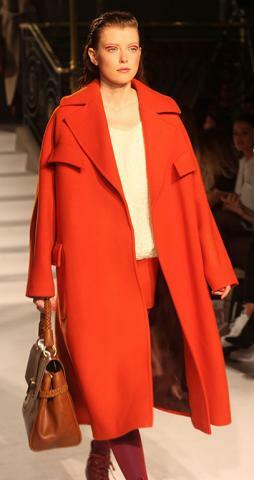 A statement blood-orange coat brings a form bolt of colour into the autumn gloom to come. Another staple piece as I term it shows that Paul is thinking of many women's perspectives as he designs and considers his collections. It's a hall-mark of his work. The light linen blouses intricately designed and finished bring a fresh look at some vintage forms and styles to the catwalk. Ruffles, pin ticks and most importantly plenty of fabric to give it space to move and breath on the wearer give a feeling of assured comfort. These characteristics when teamed with one of the mini-dresses makes a distinctive dual fabric composition. To the right a quilted dress and jacket transpose hints of the earlier opening looks into softer fabrics that suit formal wear occasions. 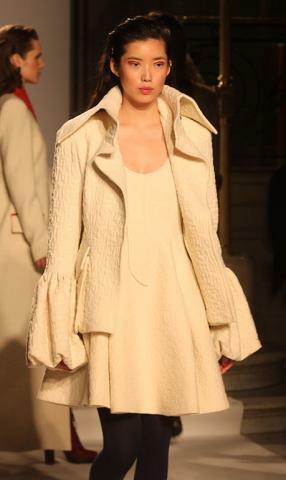 With many years of experience behind him designing for luxury, ready to wear and corporate; Paul Costelloe is very experienced in turning his hand to creating different forms around the female figure. The swing dress above to the left, did exactly that with a beautiful movement contrasting with a bodice that clung close to the figure. Ruffles with 17th and 18th century echoes, you can never have to many. 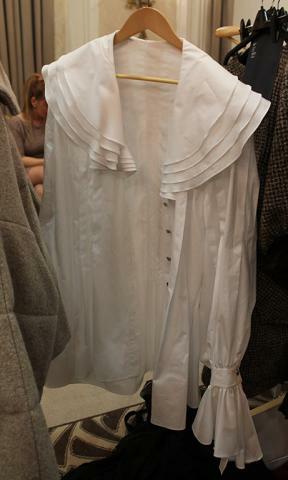 A nod to the 1980's was also detectable in the white blouse that was a very talked about piece of the collection. The next silver suit showed that it was easy to cross between leisure and workwear within his offering and to the right a cream ankle length coat had a feel of modern majesty about it. Always looking for ways to innovate and explore the multi-coloured dress to the left and right with it's throwback Balenciaga-esque sleeves channels some of the spirit of the 1960's for playing with form and style while utilising the latest weave technology to assemble a look of stratified colour. It's fun, but serious fun. Centre above silk printed in navy, lapis and gold has an almost Egyptian look while antique scrolling regal prints on the cowelled mini dress to the right bring the touch of regality a little further forward in time to the era of the Stuarts and French Bourbon Courts. Evening dresses are always composed with imagination in Paul's collections and the sparkle effect gentle found it's way into a number of fresh designs. Many great for parties and some pieces with red carpet appeal. In the 5th decade of his career he is still looking to experiment and create styles for the fashion savvy who are confident enough to dare to be just a touch different. He's also delightfully creative with length with mid thigh mini dresses and ankle length numbers also complimented by slash-cut pieces and dual length looks. With a number of seasons under his belt Markus Lupfer is one of the current mainstays across the last decade on the London Fashion Week circuit and his is a reassuring name to come back to if you want to see what a German instinct for design creates when blended with the effervescent life of London. Above to the left you can see the opening look of leggings, print dress and wool gilet tied at the waist neatly summing up duality that can often be found in Lupfer's work. A Prince of Wales check trouser suit is given a female twist with a loser fitting jacket than a man's style would use and playful necktie and looped chord tie at the waist. The trousers are matched with a floral print blouse and sheepskin coat accented with floral detail at the cuffs forming a gender neutral look that makes a smart statement. To the right pretty floral print dresses are tempered with sport stripe leggings and a bomber jacket and polo neck respectively. With a kit bag to hand Lupfer's girl could be going to sports practice, college, or her office and is completely undefined. As the collection moves into it's second phase a slightly more feminine look seems to dominate with skirts and dresses, but who's to say that more men besides those in Scotland won't start wearing them one day. Above a range of easy-wear looks comprising skirts and dresses are pretty flexible wardrobe additions. 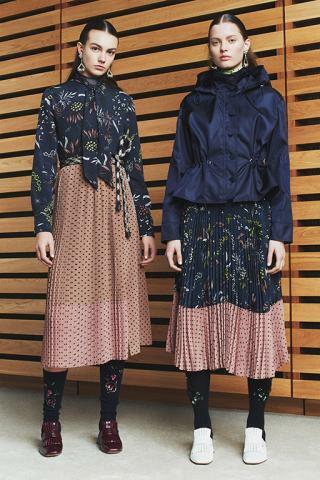 To the left a sheer skirt and navy sweater are both appropriate for weekend casual and non formal work-wear. The light blue and blush pink floral long sleeve dresses are handy editions to the busy wardrobes of working women and here as in many parts of the collection you can see that Lupfer is looking to possibly a broader age range than some people (not myself) may have perceived his work to fit. A sports tote in tweed canvas is a genious piece with floral embroidery adding a light-hearted twist. Navy and blush pink (two of my personal favourites) form central colour themes for this collection. A soft pouch sits at the waist of the model centre above tied with thin chord to form a belt at the waist of the navy sweater. with a white blouse peeping from underneath and clash/coordinated with a dual print skirt of both florals and poker dot this look has a slightly bohemian feel without loosing the edge of cool style. Lupfer continues to play with this look in the next outfit this time with a patterned blouse while it's companion uses a sports jacket to express boundless energy and female strength encapsulated within the colour harmony. The Prince of Wales check returns in a pared down weave taking a hint of fern green into it's composition. In a skirt suit that also includes boots incorporating the fabric it looks a little like the traditional moorland autumn shooting uniform has been converted into sensible town and country wear. A claret coloured zip up top underneath keeps the cold at bay with the over sized cut of the jacket literally reigned in with a belt. The collection returns a little closer to Lupfers most recent style explorations in later looks. The gauzy sheer dresses with their beautiful embroidery, as familiar to his fans as the carefully crafted luxury bombers and fleece gilets. Overall he dialled down the colour in this collection but nothing was lost in impact as he curated a collection that looked somehow more sophisticated than in recent seasons. These flowers where in full bloom and heading into the world with a purpose. He's an absolute legend and a thoroughly nice man. Jasper Conrans' invitations are a thrill to get as he is one of the designers that composes dream wearable pieces to slip into the wardrobes of women across several generations. Like Costelloe he is also one of the small clutch of founding LFW designers to remain showing on the schedule and has ammassed considerable respect from his incredible body of work. Showing in the heart of Claridges, itself the beautiful jewel of Mayfair hotels, it felt apt to celebrate his work here for the new season. Early looks celebrated a sports theme with a close cut black trouser suit completed by a cross body band top. A quilted ivy green contemporary two-piece outfit sat in tune with the current trends for melding sports wear and classical day and evening wear pieces. A handy waterproof look for work or play crafted with expert attention to the lines of the figure. A light knit sweater looks like the dream soft piece to cosy into come autumn and channels the vibrant colour of the falling leaves. 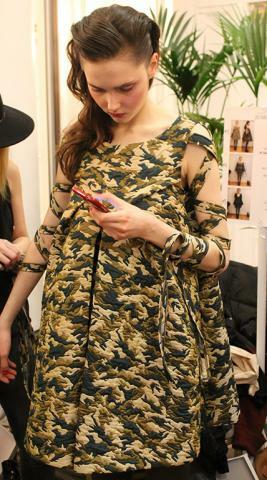 To the right a light whispy camo' print dress sits under a contemporary parka showing a practical flare for allowing clients to buy leisure and outerwear as well as evening and day wear from their designer. Vibrant colours are always a key trend for the autumn and help to put a spring in the step as the days get cooler. The dress above to the left was part of a series that brought the warm glow of colour to our eyes. A practical two piece outfit composed of carefully styled waistcoat and pencil skirt works classics into an easily adoptable style and form. 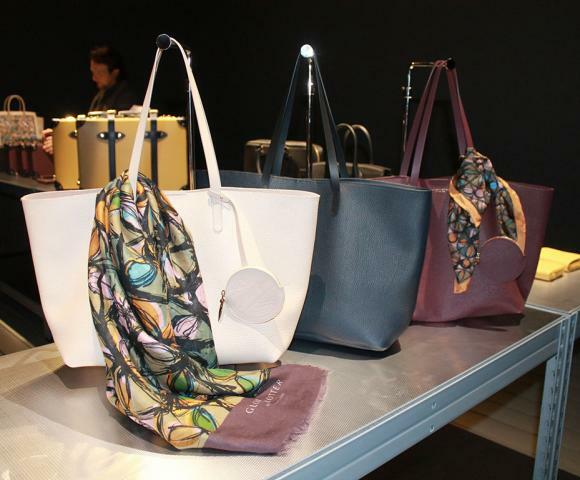 Also highly desirable is the magic tote that appears in several colours through the collection. I call it that as the simple tear drop shape is a perfect super simple design. An olive green trouser and jacket combination sit neatly on the figure showing Jasper's impeccable hand. Next a soft berry coloured sweater and knee length skirt accessorised with an olive tote creates a carefree daytime style to be worn in many places. In an adaptation of this look a long-line pair of trousers and blouse with soft coat creates a very desirable 'total look' for cooler autumn days. A chic crimson sleeveless dress and knee length fern green boots make a nod to the style of the 1960's in London. There's a sense of the free modern pop feeling about this look. To the right pops of umber, berry and pink contrast playfully with fern green slip-in loafers. The effect is somewhat like seeing the girl made into a flower on the catwalk with legs taking the place of stems. 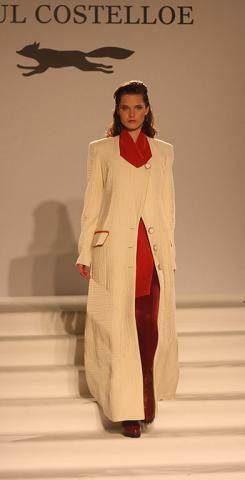 Centre above and right a piebald patterned below the knee coat is styled with white blouse and dark brown trousers. A look that could be worn anywhere internationally. Hints of youthful rebellion are carried off in the next waistcoat and skirt ensemble with an envelope purse turns a questioning eye to structure and shape. technology of today. Above to the left a blue, violet and black sweater and black trousers create an easy wear smart/casual combination with the soft sweater fabric giving gentle protection from the elements while creatively adapting a colour theme. Two chic dresses in earthy brown explore the varied texture and design possibilities that Jasper can create in a seemingly simple piece. Sitting just above the knee they can be worn alone or possibly combine with some of the more formal jackets found in this collection. A sequined brown top and sheer silk skirt make stylish combination for work and play and if you want to be a little more daring a sheer vest with Orange blaze makes a strong statement in juxtaposition to long line brown satin trousers that flatter a long slim profile. Dresses and clean crisp looking contemporary evening wear are a strong art of Jasper's offering each season. A beautiful black dress and light stolle to the left are a perfect party season look and the outfit could be worn without the wrap to less formal occassions. The autumn colour palette that gives plenty of choices in amber, brown, Olive and white with large shirt subtly patterned shirt dresses walking alongside closer cut two piece combinations. Closing with a billowing diaphonous gown that took a little influence perhaps from Jasper's second home of Morocco, the collection showed that Jasper still has plenty of ideas up his sleeve to crete the modern international capsule wardrobe that can blend easily into our lives. He's a treasure and as always I'm thinking about what pieces I can pick up. the globe in search of adventure. Clients included professionals and the super-rich of the day plus international statesmen and members of Royal families. It was even the accessory brand of choice for James Bond in Spectre. 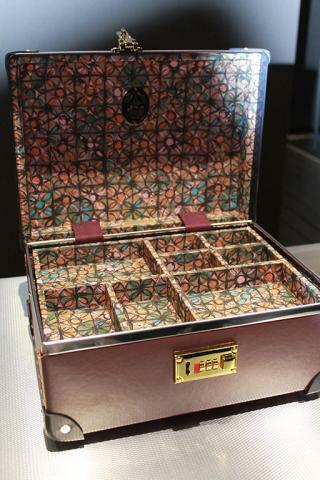 In the mid 20th century Queen Elizabeth chose them as the luggage maker for her Honeymoon travel set in her signature claret red. True to the durable nature of the design, using many layers of reinforced pressed paper rather than leather the set has lasted her many years. In the modern era when many clients would prefer animal friendly options this is quietly a strong selling point as fewer luxury fashion brands offer non leather alternatives. 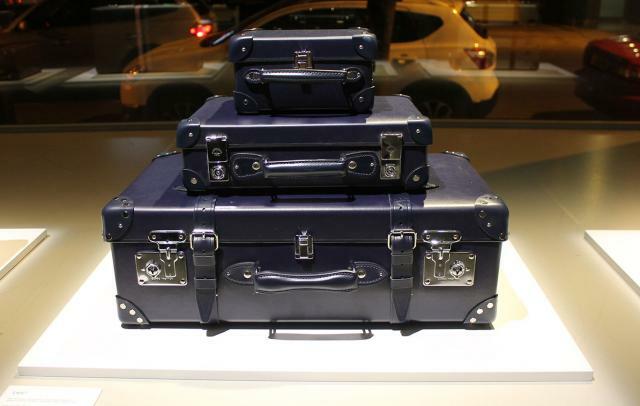 Today Globe Trotter is in an exciting new era as the brand show cases a wide range of accessories alongside the traditional luggage sets. For this autumn the flat purse looks like a strong accessory trend popping up in several places. 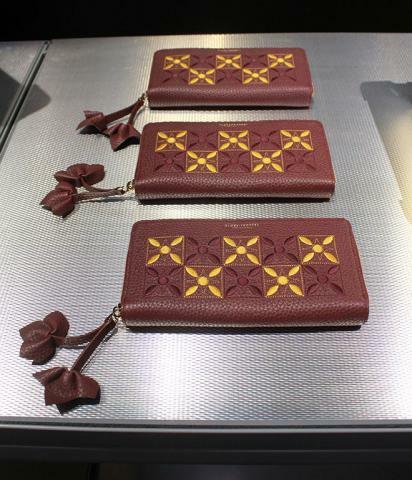 Above the flower petal pattern, they this season in the collection adorns both Burgundy and navy blue purses and the cutest mini pouches. 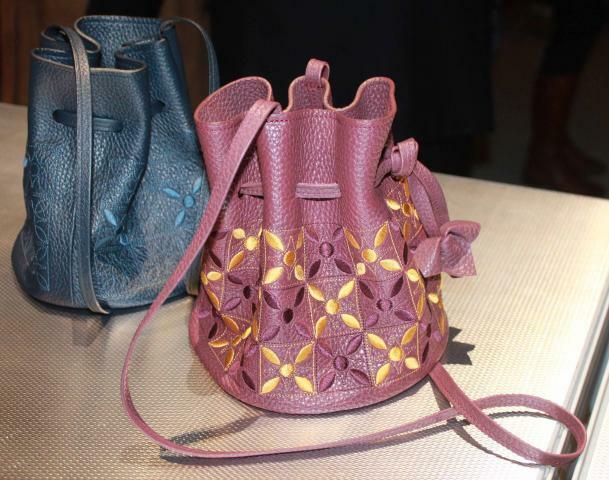 The insides are delicately crafted with a handy pockets and the purse feels like a perfect size. The pouches have a simplified almost antique shape that makes them a perfect solution when you want to carry a few essentially, but having said that, they're actually really roomy inside with space for a small book and or mini make-up pouch as well as a wallet and keys. They will make perfect gifts for friends or for yourself. 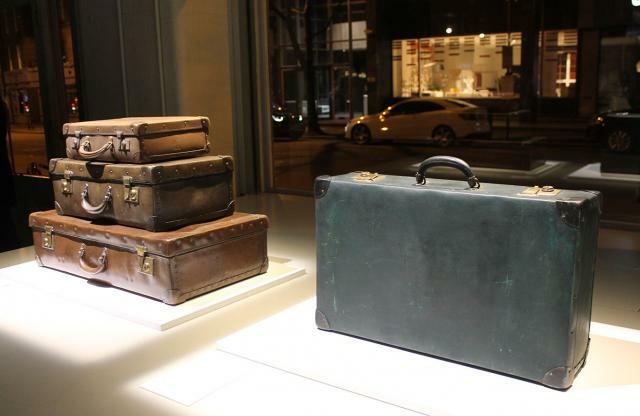 Globe Trotter have taken their style cues for recent collections from their plentiful achieve that stands as a testimony to a brand who equipped travellers to head to some of the most far flung places on the earth, by boat, plane and train. 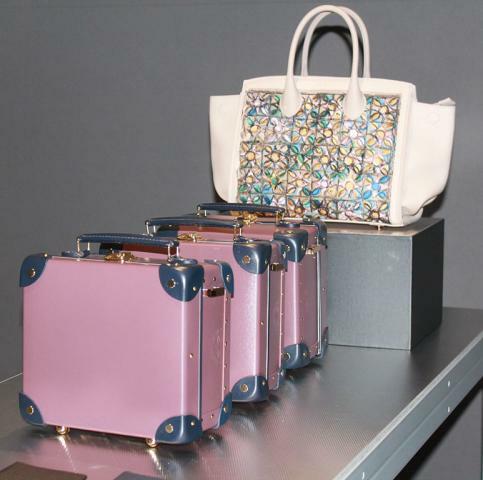 The vintage luggage collection sets the scene each season alongside the new collections emphasising a continuity and also a deep sense of craft know-how. 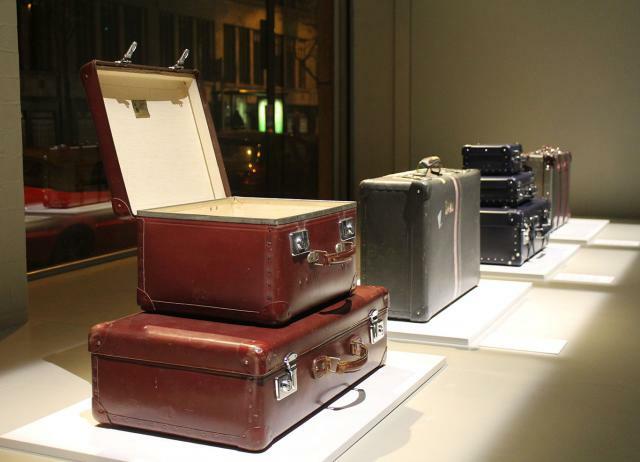 You quickly imagine all the places these bags have been to and the adventures that they've had and wanderlust fills your heart. 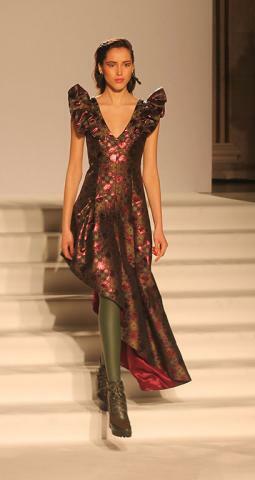 The strong point of the older collections was a quiet sense of style and refinement combined with the best production techniques available. Today the brand is embracing a 'best of both' sense with the design touches of the past such as metallic corner re-enforcements becoming a style feature in their own right and the crisp square cut angles that your grandparents and great-grandparents would have recognised from their travel cases making an angulated statement. 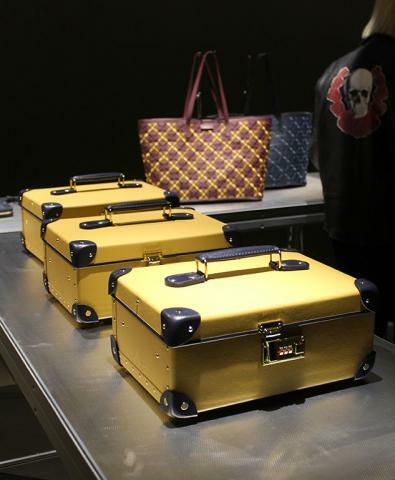 The steamer trunk straps appear on smaller pieces of luggage channelling the retro glamour feel with bold pops of colour in seasonal berry, blues and golden yellow give the collection an updated feel that's looks both contemporary and easily blend with your wardrobe. Shoulder totes are one of the easiest ways to add a new vibrant energy to your wardrobe and this season Globe Trotter have brought out both plain and embroidered staples that you can get lots of handy things in. They are ideal work and leisure pieces that transition easily from week to weekend thus fitting well with the busy life that ladies have. Floral silk scarves also channel the travel theme as they where originally an essential travel outfit staple that women often wouldn't be without. The scarf could protect against the breeze, come in handy to hide the hair away on long journey legs and simply look good when hung off your bag. It's one of the great women's accessories of the twentieth century that will always keep coming back. The floral pattern of the scarves also appears on the surface of some of the totes and purses as well as the inside of case linings. 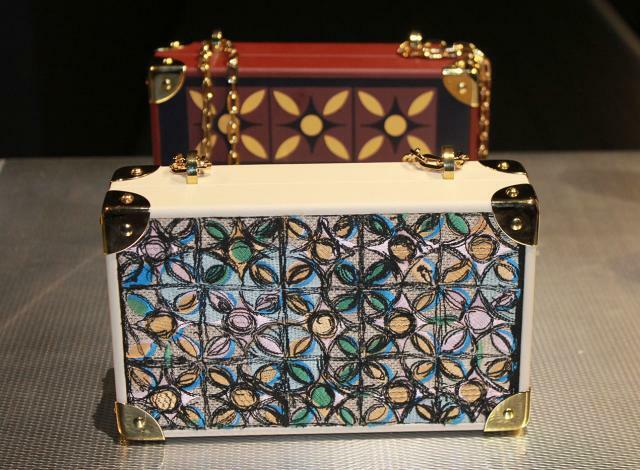 Handy mini suitacases form perfect box-bag totes on chain shoulder straps for the evening. A charming new signature for the brands new era and hopefully the start of many more adventures for this brand with it's eyes wide open and looking for adventure. She's a master of creating new-look pieces with a classic feel that encompass both the utilitarian and the chic in one move. The outcome is a wardrobe of clothes that still retain the playfulness of feminine beauty while their conceptualism retains the feel of artistic exploration that makes seeing designers like Edeline at Fashion Week such an essential experience. This is a fresh collection with pencil skirts, blouses, sweaters and coats all in easywear well tailored styles that could work for you easily in a variety of situations. Above to the left two tunic dresses use simplfied motifs to gently emphasise the natural beauty of the femal figure. Long sleevs in contrating favourite colours from the designer off set the black tunic core of the look celebrating natural curves and two dots at the chest simply recognise a deeper sense of feminity. To it's right a piece in a more overtly pretty style places blue bows at the shoulders above short blue sleeves, chic and sweet but not too childlike for an adult woman's wardrobe. The circle continues it's place in the collection as a quiet suggester of femininity. Placed on a while shirt above to the left matched to a navy blue skirt this look with it's simple flat shoes is a simple universal style that makes a quiet statement about the simplified beauty that lies within. It's charming and elegant in it's styling and reflects the deep sense of balanced composition that brand imbibes. Above centre a grey sweater using the circles and bows is matched with trousers uniquely made with the double hem. A long line leg has an outer layer with peplum fluting cleverly added seamlessly to the design. A playful red dress uses over sized peplum detail in the cuffs and dipped dress hem to accentuate volume and bring a hint of fun. The loose form sitting over the figure, cloaking it has an almost theatrical feel and this is a great piece to wear to express your spirit and go out and have a good time in. To the right a perfect office wear look that would also work well for leisure time show the white collar of a formal blouse adapted to the style of a sweater and coordinated with a beautiful fringed peplum black skirt. A pop of colour in the shoes adds the twist of character and charm that Edeline brings to her designs. A loosely tailored grey trouser suit is adapted to the female figure with a defined waist. The over sized style is made ultra feminine with the larger shoulders accented with pin tucks gathering the fabric gently echoing the lengths of the trousers. Light and easy to wear with an under layer it would be suitable for work-wear and otherwise could be worn any time for enjoyment. 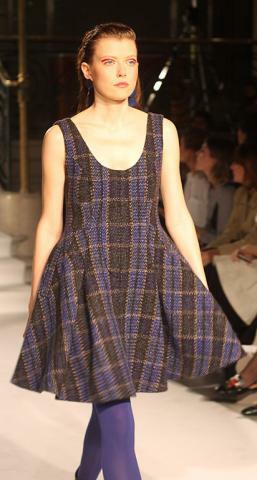 A navy dress with yellow circle theme belt and blue coat is a classic comfortable autumn combination. The velvet autumn loafer style slip-ons add the final touch to the look. The golden yellow dress centre is almost egg yolk coloured suggesting strength and new life and this beautiful look readily working in peplum detail is a beautiful evening dress that would be perfect for the red carpet. The white light sweater and black skirt combination to the right are a perfect grown up style uniform for anywhere, work, lunches with friends or free time. Edeline always works a twist into ther looks to side step any hint of uniformity or dullness. An asymmetric hemline and a light peplum fold ensure that is so. A sculpted navy blue dress with waist band and long black sleeves shows the essence of fun meets practical in one look. The broad series of looks in this collection show that there is heaps of scope within the pool of Edeline's inspiration. A grey coat dress above to the left with blue circle buckle, breast pocket and inward turned round buttons again show how taking a playful sideways look at traditional features of an outfit can lead to great new ideas. To the right another of the classic staple dresses with black sleeves and grey tunic core. To the right another pair of dual layered trousers show the peplum detail on the outer layer of the trouser leg, a look that is echoed in the two skirts to the left, one in grey triple layers complimenting the sleeves of the white blouse and the other creating a spiralled, almost water fall effect around the base of the dress. Interchangeable separates are a key part of the composition of the collection offering women plenty of choice in how to style a look that will have a stamp of individuality on it and show the sense of fun and eye for style that Edeline's woman has. Having tested the waters with the runaway success Serafina is building an interesting and dynamic label in Isa Arfen combining Italian flare with the tempered sophistication of both Parisian Fashion Houses and London's innate sensibility for what work's best for different places and moods. Above to the left a soft high cut smoke grey sweater is a perfect companion for navy trousers with 17th century style frills at the waist. A perfect comfy and smart look. Playing expertly with traditional forms a brown pencil skirt combines with an asymmetrical blouse. Bow tied at the shoulder leaving one arm bare, it's a confident sophisticated style that uses hints of evening wear. Another beautiful white blouse with ruched detail around a central seam has echos of the beautiful gowns of the belle epoch era with puffed sleeve sitting on one shoulder with the other shoulder pulled down to emphasise how the look can be worn more informally. A beautiful slip dress with harlequin diamonds cut on the bias with ruffled skirt is a simple pretty piece for parties or drinks receptions that you could easily through a wrap or jacket over when the evenings get a little cooler. To the right fun and games are implied ahead of the arty season with a gentle mask partly covering the eyes again in the Harlequin diamond makes a playful addition to the frill skirted blouse, also in the Harlequin style with front sash bow. Straight black trousers temper the style to a simple clean lined black and white look that could be worn at smart parties through the autumn season. A cocktail glass in hand on the print the black silk dress above and it's neighbouring twin skirt strongly suggest good times ahead with spare in the air of laughter and bubbles. These are feel good closes in the literal and practical sense that meet a stylistic goal and are also very comfy to spend the evening in. The high-waisted knit top returns with a hint of rebellion as shown above in the exposed seam of the long tights. As with it's neighbour centre above, a beautiful check black suit with open cropped jacket it creates a tiny juxtaposition with conformity to show the Isa Arfen girl wants to do things differently. Worn with a blouse it would also make a great dinner outfit and could suit many women in the public eye well if they where looking for a special red carpet look. To the right, soft velvet amber gently cloaks the figure in a long sleeve dress dressed with high shorts and lapelled jacket. An adaptation of the men's tuxedo shirt is created in alight soft blouse that adds both glamour and a touch of nonchalance to the look. Completed with sling-back shoes it's a fun piece to party in. Dresses that have a more evening-wear look come into the collection working in style themes seen earlier in the day-wear pieces. A blush crushed velvet dress with soft half moon neckline is a smart simple piece to wear for evening receptions and to the right the ruffles of the blouses add a flourish to the neckline of the dresses. Pintucks and hints of peplum style appear in the in the next three looks beginning with a skirt matched with a suede jacket and two dresses. For anyone looking for some non traditional black tie pieces these would certainly do the job very well. Both the ankle length off-shoulder dress and knee length cocktail dress give a 21st century spin on modern luxury. 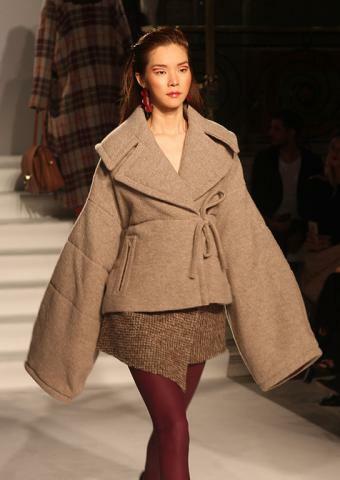 To the right a brown knee length coat offers a sophisticated stylish outerwear layer that would work well with any of the looks from the collection. A pretty dotted lightweight dress channels a mixture of 1940's and 1980s glamour influence with a traditional timeless neckline and black trousers neatly tucked underneath. You could chose to split the component parts of the outfit wearing the dress alone or the trousers with one of the blouses and a jacket but the total look is pure fun glamour. To the right the dots grow larger again re-working the theme of dots and netting from previous decades into a fun paring of shorts and jacket and an evening dress with trousers and front fastening bodice that echos the blouses earlier in the collection. Evoking the fiesta spirit the ruffles give way to the Harlequin print returing again in brighter colours in a charming layered design. It's definitley party time. Either side glamourous evening wear pieces using lapis like blue bring a bold shot of colour in sophisticated designs that will have you laughing and dancing in until dawn as your carnival becomes a grand party the Harlequin returns, unmasked and looking cooly out at her audience. Isa Arfens women meets the world head on with energy, confidence and a deep inner smile.